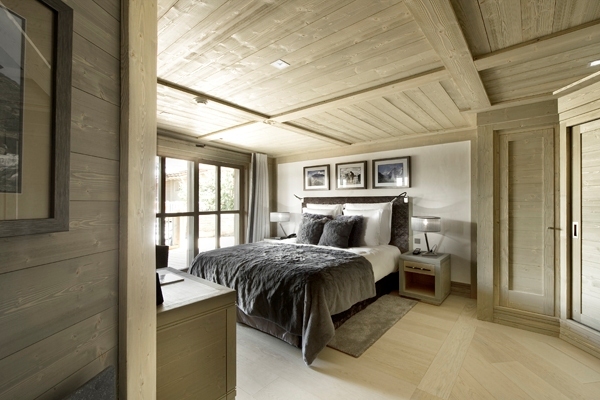 An absolute stunner, luxury Chalet Abbruzes is part of one of the most lavish properties in Courchevel 1850- Hotel Le K2. 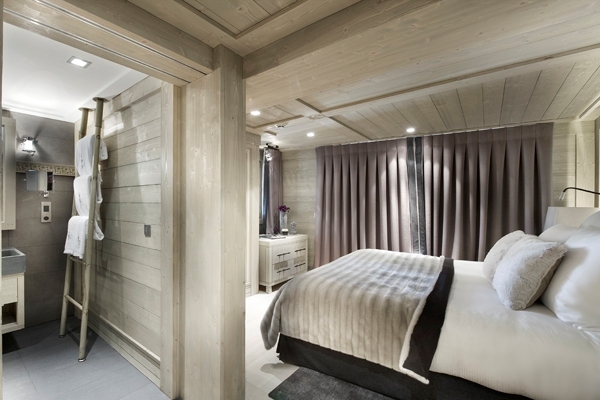 You can easily access the famous Les Trois Vallees - the largest ski area in Europe as the Cospillot ski lift is situated just next to this luxury chalet. Boasting of grandiose views over the valley below and the Vanoise mountains, it is located just a couple of minutes from Courchevel 1850. 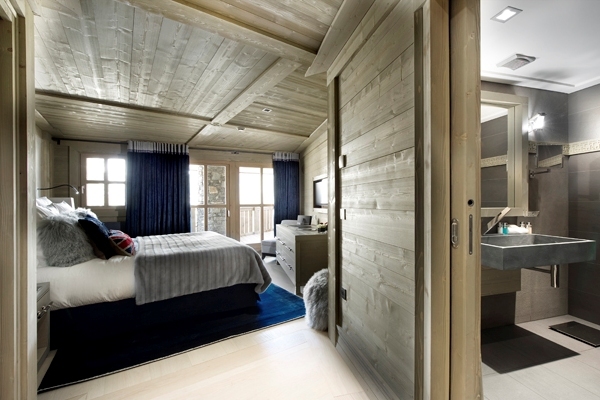 Chalet Abbruzes is characterized by a blend of conventional and contemporary styles. The wooden backdrop is accented with soft and warm furnishings. 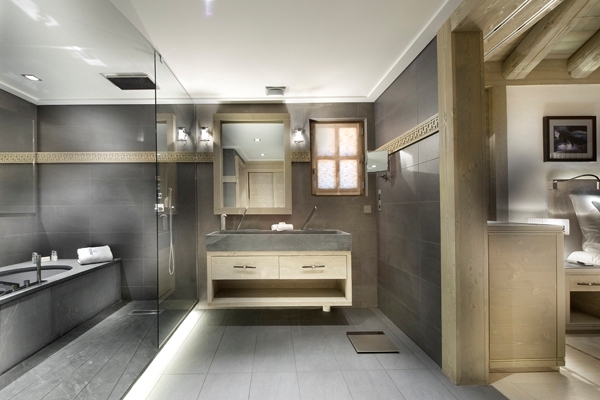 The architecture is inspired by nature; materials and fabrics complement each other while white and cream décor makes the interior appear light and spacious. 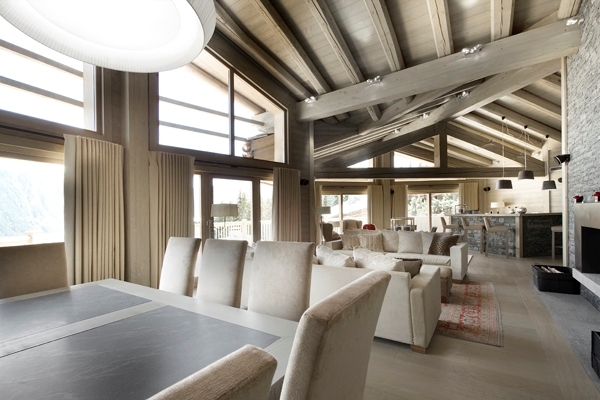 Arranged on three levels, Chalet Abbruzes is generously spacious with an area of 600 sqm. Ideal for corporate groups and families. 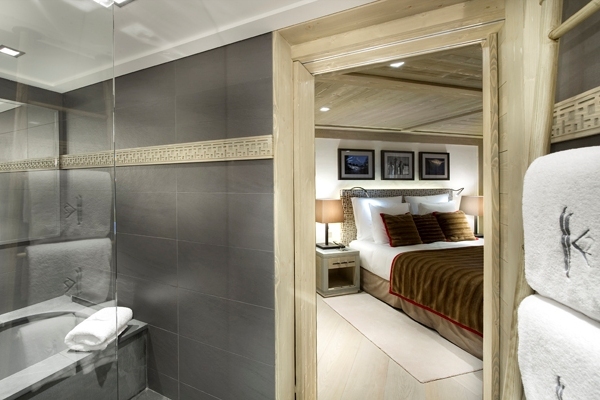 All the bedrooms feature dressing rooms, large balconies, LCD TVs and cozy comfort. 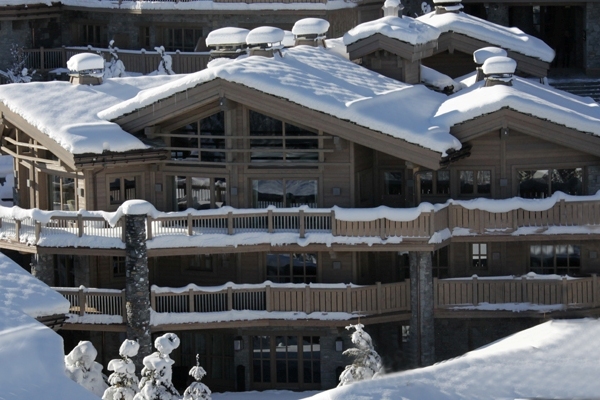 The entrance to the chalet is on the top floor featuring an entrance hall that leads to two lounge areas with an open fireplace and large bay windows that capture the most stunning vistas of the area. The fully equipped kitchen adjoins a separate dining room ideal for dinner parties. 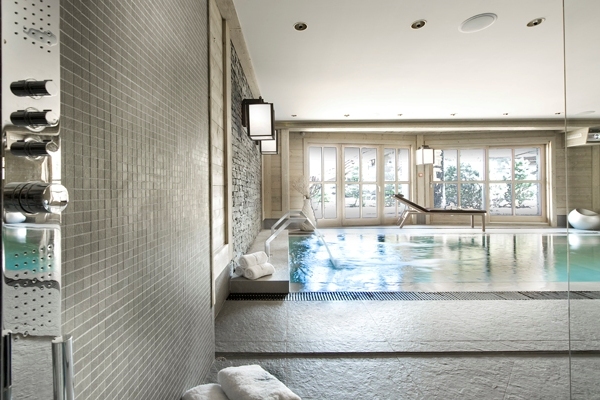 The ground floor is completely dedicated to wellness and features a swimming pool with waterfalls and steam room. 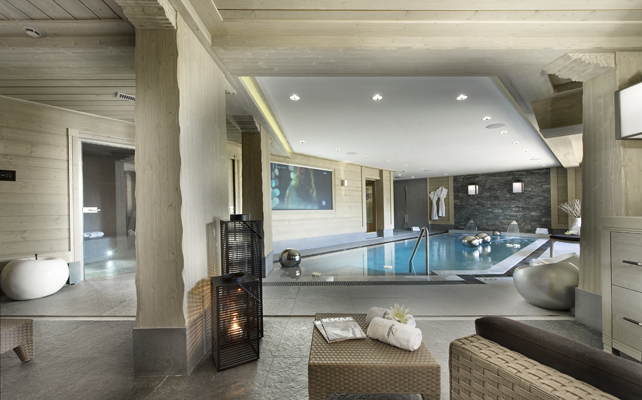 The pool-side lounge area is the perfect place to relax and unwind after an active day on the slopes. Other features include a bar, library, a lift that serves all floors and all the modern amenities imaginable. 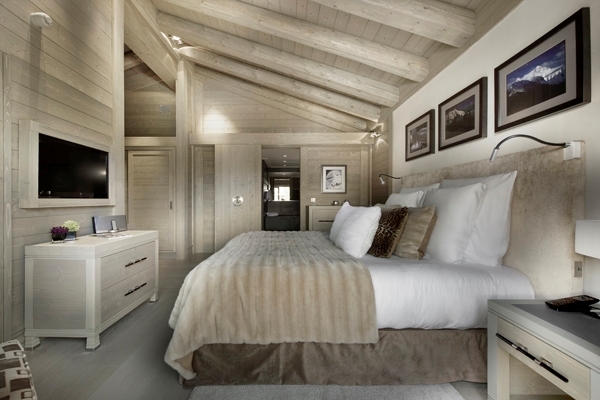 Moreover, your experience at this luxury chalet can be improved with personalized services from butler, professional chef and housekeeper exclusively at your disposal.